As the mother of two teenage daughters, “I just wanted to enjoy them, inhale them -- I wanted to connect with them,” says the Toronto native, 43. But the business wheels never stopped turning. The more time she spent with daughters Taylor and Ally, the more Frankel honed in on their unique approach to beauty products and their fixation with social media. “We’re all about that ‘no makeup’ makeup -- it literally has to look like you just got out of bed,” says Taylor, 18, a college sophomore studying business marketing. “Who wants to wake up an extra half-an-hour early to do your makeup when you could be sleeping in or scrolling Instagram?” adds Ally, 16, who is still in high school. Observing this behavior through an entrepreneurial lens, Frankel suddenly realized she had a viable business on her hands -- one that, given her new phase in life, she wanted to conceive alongside her daughters. On a family vacation to Miami in 2013, following weeks of casual chit-chat that slowly evolved into informal brainstorming, Nudestix was born. 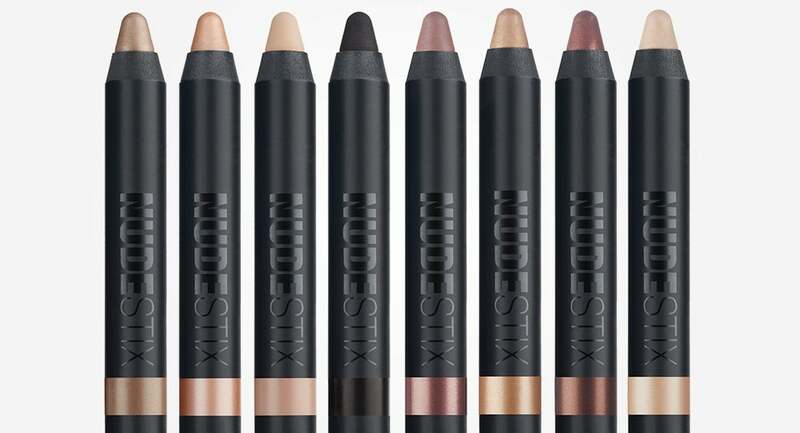 The millennial-leaning line consists of 13 stubby makeup crayons, each priced at $24, and each of which serves as an unfussy alternative to bronzer, concealer, lipstick, eyeshadow or blush. Launched last May, Nudestix is now available in 100 retail doors internationally, including Forever 21, Sephora, Space NK, QVC and Urban Outfitters. The company is on track to clock $5 million in sales this year, Frankel says. Frankel’s deep industry connections also helped the brand land its first retail partner, the indie beauty incubator Space NK, as well as its exclusive online distributor, beautylish.com, in which she is a shareholder. Forty-five percent of the company’s U.S. sales happen online, Frankel says. An assortment of Nudestix pencils. The girls, on the other hand, participate in product development, retail training and also serve as Nudestix’s faces on social media. Ally runs the brand’s Twitter account, which has 970 followers, while Taylor is responsible for Instagram, which counts nearly 18,000. They are also active on YouTube and Snapchat. Rather than costly ad spending, the company’s marketing efforts thus far have consisted of cross-promotional posts with fellow bloggers, YouTubers and social influencers, the girls say -- including budding musician Macy Kate and the bathing suit brand Mandalynn.